Ultimate Survival Technologies has a nifty floating lighter that floats in the water when fully closed inside of its ABS shock-resistant case. 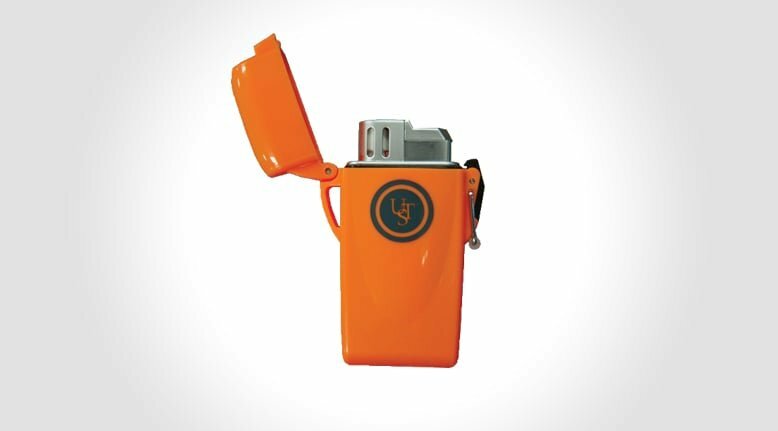 This is a serious wilderness lighter that can be lit in the most adverse conditions. The lighter uses piezo-electric ignition to give a spark in 80mph winds, and has a flame that burns at 2,000 degrees.